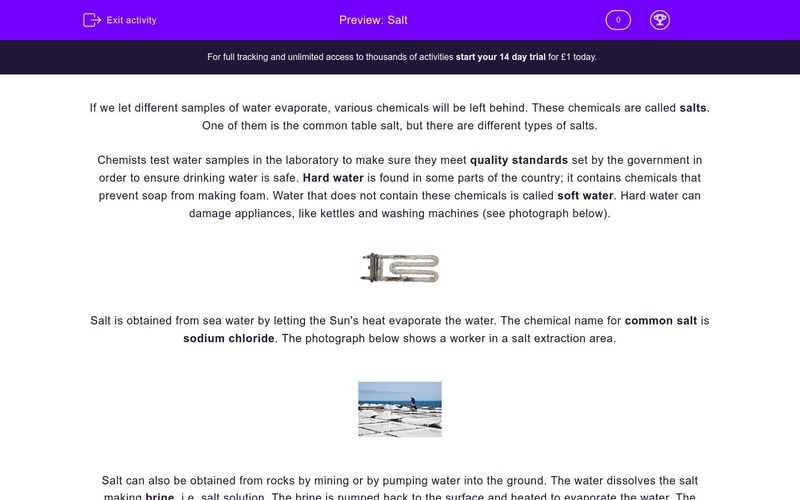 In this worksheet, students will learn how we get salt from rock salt. If we let different samples of water evaporate, various chemicals will be left behind. These chemicals are called salts. One of them is the common table salt, but there are different types of salts. Chemists test water samples in the laboratory to make sure they meet quality standards set by the government in order to ensure drinking water is safe. Hard water is found in some parts of the country; it contains chemicals that prevent soap from making foam. Water that does not contain these chemicals is called soft water. 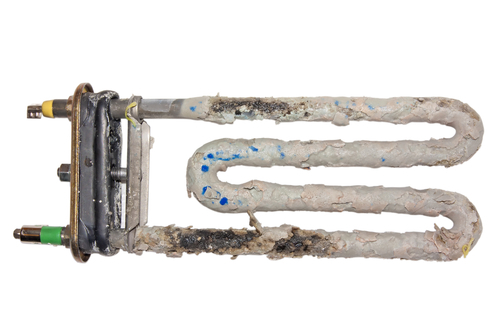 Hard water can damage appliances, like kettles and washing machines (see photograph below). Salt is obtained from sea water by letting the Sun's heat evaporate the water. The chemical name for common salt is sodium chloride. 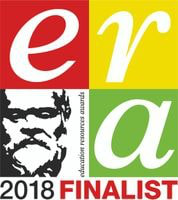 The photograph below shows a worker in a salt extraction area. Salt can also be obtained from rocks by mining or by pumping water into the ground. The water dissolves the salt making brine, i.e. salt solution. The brine is pumped back to the surface and heated to evaporate the water. The photograph shows rock salt. 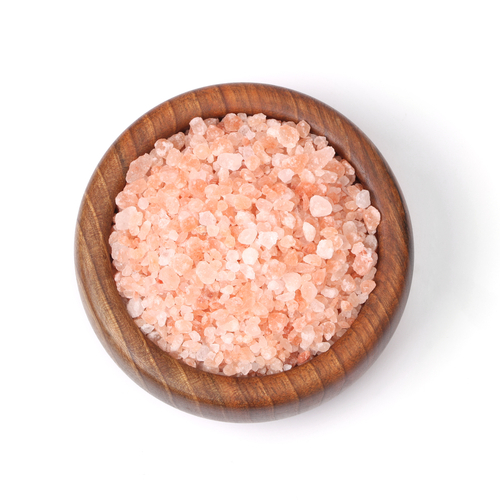 Salts are important for a healthy diet and for preserving food. Salt used to be very valuable in the Roman Empire. What types of chemicals are dissolved in water? Tick two uses of salt. It gives taste to food. It is used to clean food. It is used in medicine. It is used to preserve food. Why is water tested in laboratories? Hard water contains ___________ that prevent soap from making foam. Water that does not contain chemicals that prevent soap making foam is called _______ water. Why do some people use water softeners to remove the chemicals that cause hard water? It is expensive to use hard water. It makes the water less safe. What is the chemical name for table salt? Name two methods of obtaining salt. What happens when water is pumped into the ground during salt extraction? Salt is dissolved, making brine. A student investigates the salt content of three different samples of water by pouring the samples in containers and then letting the water evaporate. The mass of the salt left behind is measured in order to compare the salt quantities of the samples. What variable must be kept the same, so that the results are accurate? Various chemicals are dissolved in different samples of water. All these chemicals are salts. Salt is added to food to make it taste better and to preserve it. Drinking water is tested in laboratories to identify any chemicals it contains and determine if it is safe. This is part of adhering to quality standards set by the government. Hard water contains chemicals that prevent soap from making foam. Water that does not contain chemicals that prevent soap making foam is called soft water. Water softener is used to remove chemicals that cause hard water; these chemicals damage appliances, so owners try to ensure that their appliances will remain in a good condition for as long as possible. Table salt is chemically known as sodium chloride. 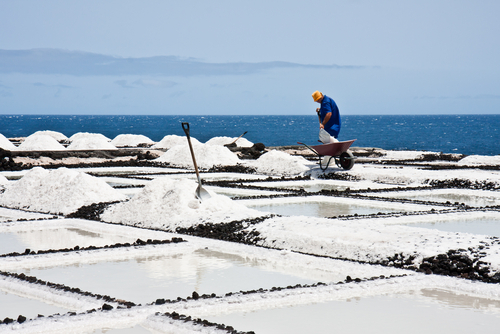 Salt can be obtained by evaporating sea water and mining rock salt. Brine is also used to obtain salt from rocks, but brine is made by humans, not extracted. Salt is extracted. Salt from rocks can be removed by pumping water into the ground. This dissolves the salt, making brine. Brine is pumped back to the surface and heated to evaporate the water. Ideally, all equipment used for this experiment must be kept the same and the same method used to evaporate each sample. However, it is imperative that the amount of each sample is kept the same, otherwise the amount of salt left behind cannot be compared accurately.